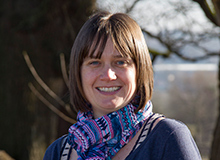 Natalie provides a vital supporting role to the surveyors and consultants in the initial stages of project set up where she will integrate the plans provided by the client into our bespoke tree management database, MyTrees. She will then prepare the data that has been collected on site to be interpreted into the final report in the form of Tree Constraints Plans, Tree Protection Plans, Tree Removal & Pruning Plans and Woodland Management Plans to BS5837:2012 In addition to the technical plans that she provides she also prepares tree and works schedules and undertakes Tree Preservation Order searches. Natalie is developing the CAD related services for the company and helping to expand our client output with the introduction of ArborShadow to the company.